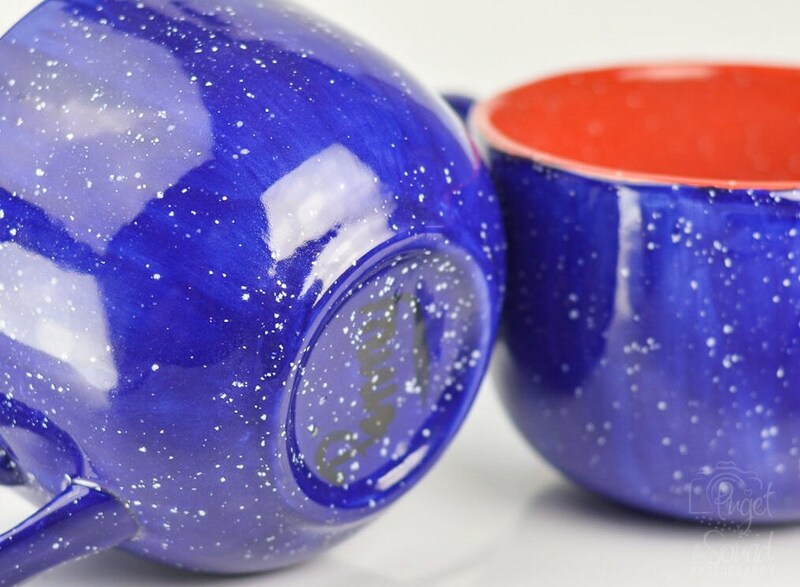 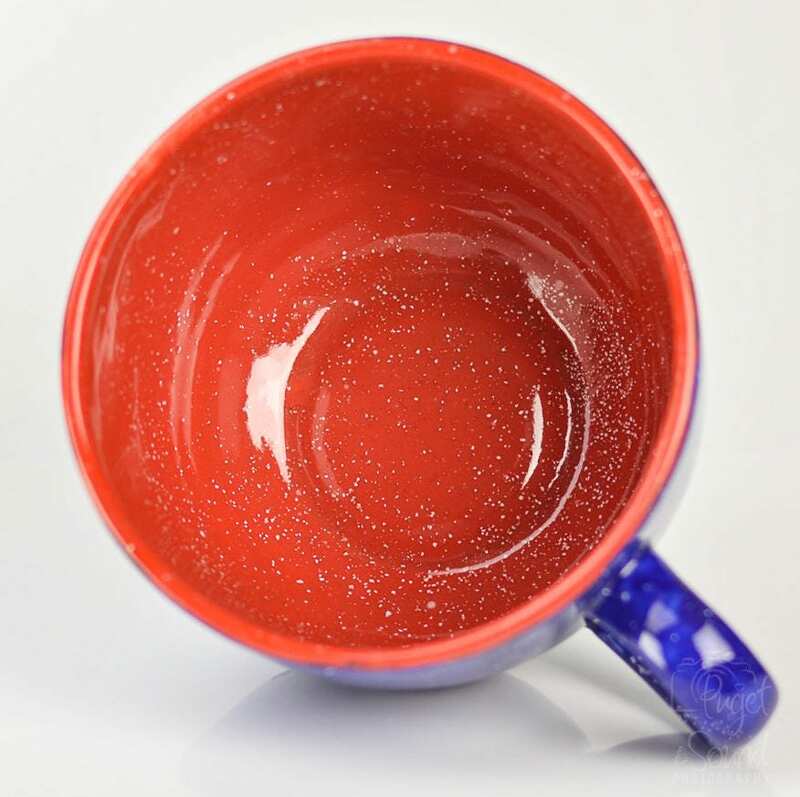 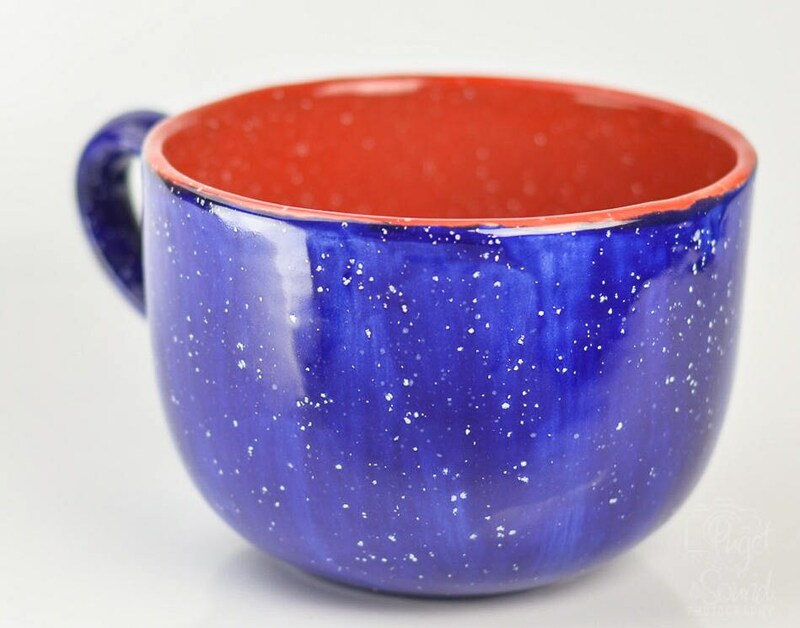 Approx 24 oz - Ceramic Large Mugs - This design is created with Red with white speckles on the inside and on the outside background Dark blue with white speckles. 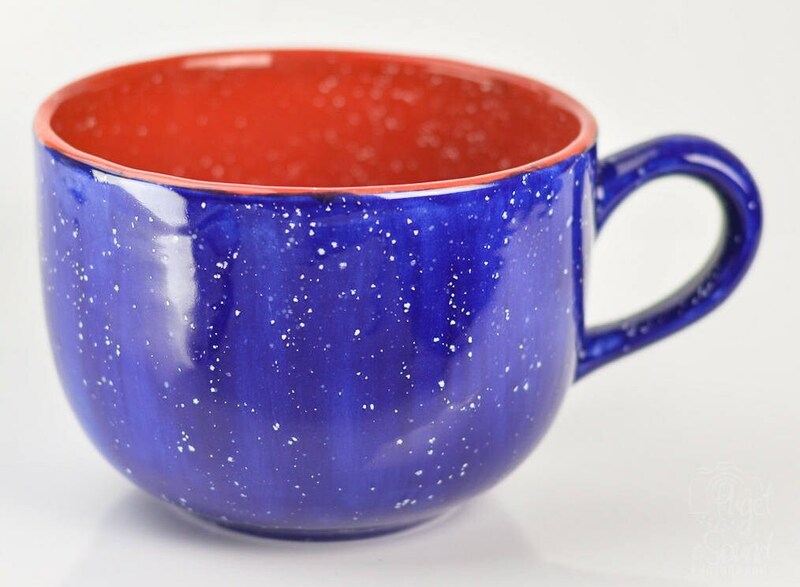 The mugs are similar in design and color scheme but all are one of kind. 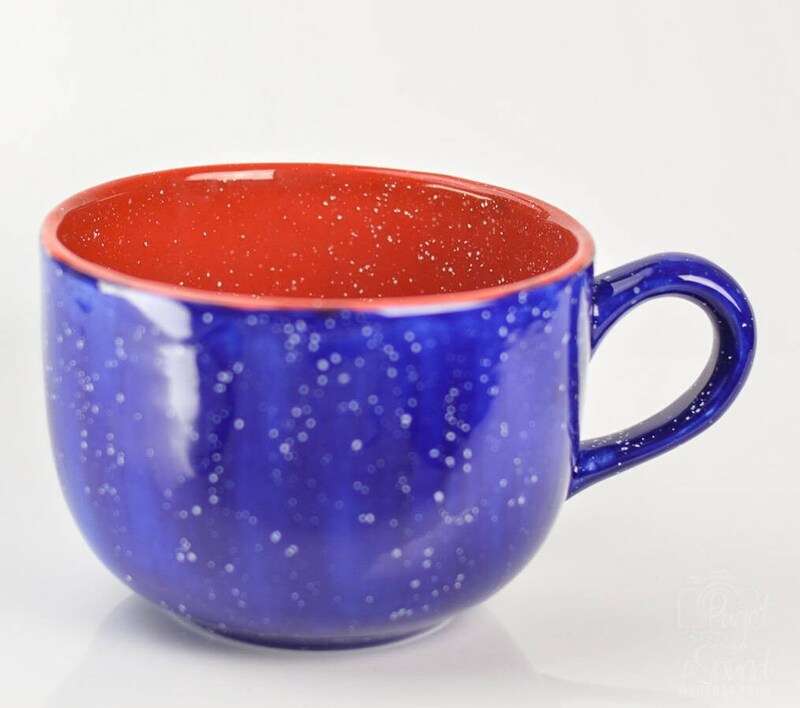 These ceramic mugs have been hand painted, fired, microwave, dishwasher and food safe.